A rare video of a 1970s performance by Kraftwerk in West Germany has been floating around YouTube since last year; however, it has just now resurfaced and basically doubled in views since Side-Line reported on it last week. The band has seen about 20 members in an out of the course of its almost 50-year career; the lineup from this particular performance included Ralf Hutter playing organ and tubon, Florian Schneider-Esleben on flute, violin and percussion and Klaus Dinger on drums. 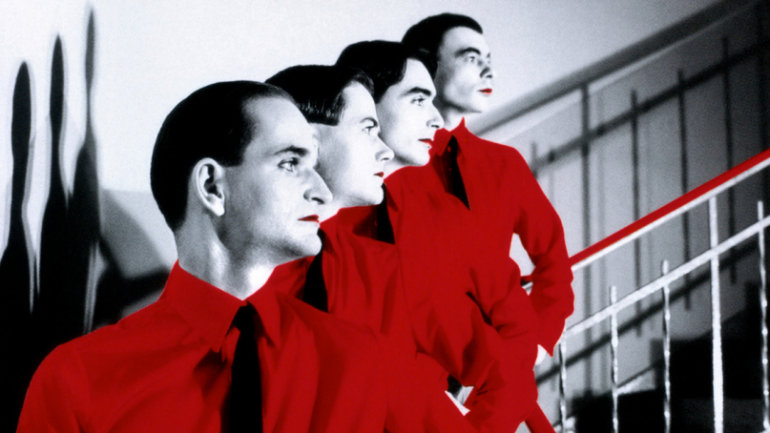 The set is entirely from Kraftwerk’s debut, self-title album: “Vom Himmel Hoch,” “Ruckzuck,” “Stratovarius” and “Megaherz” are the four songs played in order. Kraftwerk as proper hippies is pretty cool though – lot of hair in the audience, and chat by the sounds of it – probably brought on through the bemusement of listening to the sound of a thousand bees on acid. I think this is what they used to call ‘a happening’. I’m sure I spotted Art Garfunkel in the live audience :)! Back in May, the band had announced a 12-date fall tour that finished up about a month ago in Kansas City, MO. It was a 3-D tour, which Kraftwerk had done before, accompanied by special affects and paper glasses for each audience member. More dates for the rest of 2015 and into next year are detailed on their website.